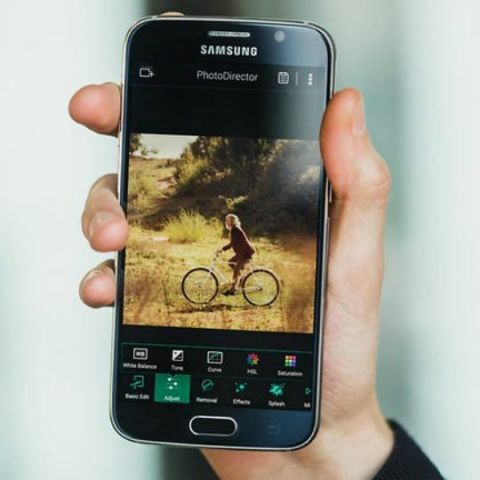 Here's a list of the best free photo editing apps for Android and iOS that give you the freedom to enhance images to your liking. Smartphone cameras today are capable of creating high quality images thanks to advancements in computational photography which have trickled down from premium smartphones to mid-range and budget devices. As a result, bokehs and portrait shots are taking over Instagram feeds and photos with filters and stickers are becoming increasingly popular. However, not all native smartphone camera apps give users the freedom they want to play with images. For that, there are a host of photo editing apps, both paid and free, available on Android and iOS smartphones. Here, we list the best photo editing apps that give you the freedom to enhance images to your liking; be it slapping on some cool text on photos, or adding lens blurs, or even removing unwanted objects from the frame, you can do it all with these apps. If you are a mobile photography enthusiast, chances are you have already heard of Snapseed. Developed by Google, Snapseed is available on both Android and iOS. The app offers users a number of different tools ranging from simple ones such as cropping and rotating, to complex ones such as perspective and curves. Users can even add lens blur and text to their photographs, in addition to multiple other presets that are available on the app. Sharing images on social media is easy with the app’s inbuilt sharing options and for the pros, there are options to edit RAW images as well. You get a total of 29 photo editing tools and filters in Snapseed and you also get an option to save your personal looks to apply them to new photos later. VSCO is more like a community rather than just an app, but it does offer a bunch of filters and presets besides basic editing tools such as contrast, saturation and grain. Just like Instagram, the app lets you either take a picture directly from the camera app, or upload one from the gallery. You can also post edited images online for the community to see. You can choose to get a premium membership of the app and unlock 170+ presets or re-create vintage film looks by Kodak, Fuji, Adfa and others. Premium membership also gives you access to photography tips and tricks on VSCO. Download VSCO on Android and iOS. Adobe offers a range of editing apps for Android and iOS. Amongst the most popular are Adobe Photoshop Express and Lightroom. Photoshop Express lets users add filters, crop photos, add frames and more. The app suggests pre-made collages to save you time in creating and sharing. Photoshop express features all your basic editing tools such as contrast, exposure and white balance adjustment. You can also remove blemishes, spots, dirt and dust from your photos and choose from a bunch of filters to make images look better. The app supports RAW photos and Tiff files as well. If you are looking to add custom text or watermarks to your photos, the app will let you do the same. Users can even link up with their Creative Cloud accounts and store edited images in the cloud. Adobe Lightroom allows you to capture, edit and share photos. It comes with an HDR mode which is great for correcting overexposed or underexposed scenes. There are a bunch of presets that users can also take advantage of in the app and in case you don’t like your edit, you can always revert to your original photo. Like Photoshop Express, users can save images to the Creative Cloud using Lightroom if they have a subscription. Download Adobe Lightroom for Android and iOS. Download Adobe Photoshop Express for Android and iOS. The Pixlr app is a version of the popular Pixlr desktop editing utility. Using the app, one can easily apply effects on photos and a slider helps in increasing or reducing the strength of the effects. Colours in images can be balanced out using the app’s Auto Fix feature. Apart from all the basic editing tools, the app allows users to style their images to look like pencil drawings, sketches, posters and more. Blemish and red-eye removal tools in the app work pretty well and one can favourite their most used effects to return to them easily when editing multiple images. Resizing photos is also pretty simple and the app allows for direct sharing on Facebook, Instagram, Twitter or email. Download Pixlr for iOS and Android. If you are an Instagrammer, chances are you already own Photable, one of the easiest apps to help create collages of all shapes. Using the app, you can edit photos, create collages, design posters, apply makeup to your face and more. The app offers a wide range of presets based on occasions, seasons, festivals and is a lot of fun to experiment with. Users can also unlock a wider range of poster and collage designs by subscribing for Photable Plus. Download Photable for iOS and Android. Another Google app on the list is Google Photos. The app is one of the best out there when it comes to organising and sharing photos, but it also comes with a bunch of cool editing options. You can use Google Photos to automatically create collages, sort photos into albums and create animations. If you have two successive shots, you can use the animation effect to create cool GiFs. All the necessary filters are available in the app, but it won’t let you adjust contrast, brightness, etc in the iOS version of the app. You will get those features on Android though. The Facetune2 app lets you remove blemishes and and touch up your selfies before you post them on social media. Think of it as a makeup kit. You can reduce blemishes, whiten teeth, add blur, reshape, and much more. Aviary offers a pretty comprehensive set off tools for users to work with. This includes, filters, stickers, overlays, adjustments and more. It also comes with an auto enhance feature that automatically adjust photos based on presets. So if you took a photo of your lunch, you can enhance it by selecting the Food preset in the auto adjustment option. Which laptop should i buy for photo and video editing? I want a build PC for Web Development, Videos Editing and Photo Editing Purpose.